One of the ostensible perks of being an Oscar nominee, in addition to all the studio doors that (temporarily) fly open upon receiving the nomination, is the gift bag full of expensive goodies that range from fancy toilet paper to whatever a “vampire breast lift” is. But it seems that the swag bag, the contents of which are valued at $250,000 this year, has yielded nothing but consternation for the Academy Of Motion Picture Arts And Sciences in recent years, which is why it’s filed a lawsuit over trademark infringement (to say nothing of the numerous counts of unsolicited association with vaping and vibrating). 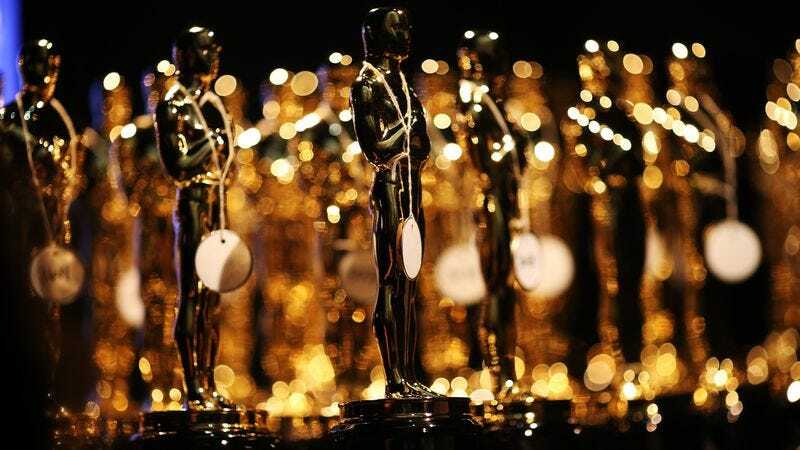 Now, the Academy didn’t just lose its head overnight—THR notes that this is an ongoing battle, and that Distinctive Assets has been repeatedly warned/asked not to use the Oscars trademark in its promotional campaigns. After one such admonishment in 2015, the marketing company said it would “not purposefully make an association between its gift bags and AMPAS going forward,” but here it is 2016, and the Oscars trademark is still being invoked in Distinctive Assets’ social media posts. The lawsuit could potentially end the gift-bag practice entirely, or just result in the creation of a euphemism similar to “The Big Game” label that’s bandied about by advertisers for the Super Bowl.